Do you think you have hearing loss? If the answer is yes, then you may benefit from having hearing aids that are provided free of charge on the NHS. We offer a local NHS hearing aid assessment and fitting service. 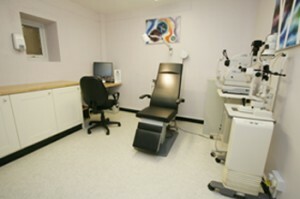 Your free hearing centre would be provided by Minor Ops Audiology – NHS contractors. Conductive Hearing Loss – disorder of the outer and/or middle ear which results in difficulties in hearing. This is commonly treated medically or through ear surgery. Sensorineural Hearing Loss – disorder of the inner ear. Such hearing loss is irreversible. Tremendous advances in hearing instrument technology enable most patients to be significantly rehabilitated. Mixed Hearing Loss – contains elements of both Conductive and Sensorineural Hearing Loss. If you feel your hearing is deteriorating, ask to see your GP. He will examine your eyes to exclude any problems like a build-up of wax. If all is well, but your hearing is still impaired, your GP can refer you to have a full hearing assessment and hearing aid fitting at Simon Berry Optometrist. All of our hearing aid audiologists receive ongoing, up-to-the-minute training at our Hearing Centre of Excellence, keeping them up-to-date with the latest hearing aid technology, current audiological trends and the best practice aftercare support processes. David Ormerod Hearing Centres have been providing a hearing care and support service for over 40 years and we continue to remain at the forefront of hearing aid technology, offering the very best possible hearing care and support service to our clients. The Company operates NHS approved quality standards and provides a full aftercare programme. The proprietors of the Company are members of the British Society of Hearing Aid Audiologists. David Ormerod Hearing Centres can offer hearing aids from all leading manufacturers.